The 2017 Australian Body Art Festival is set to take it's new home, Cooroy by storm on the 8 and 9 April! 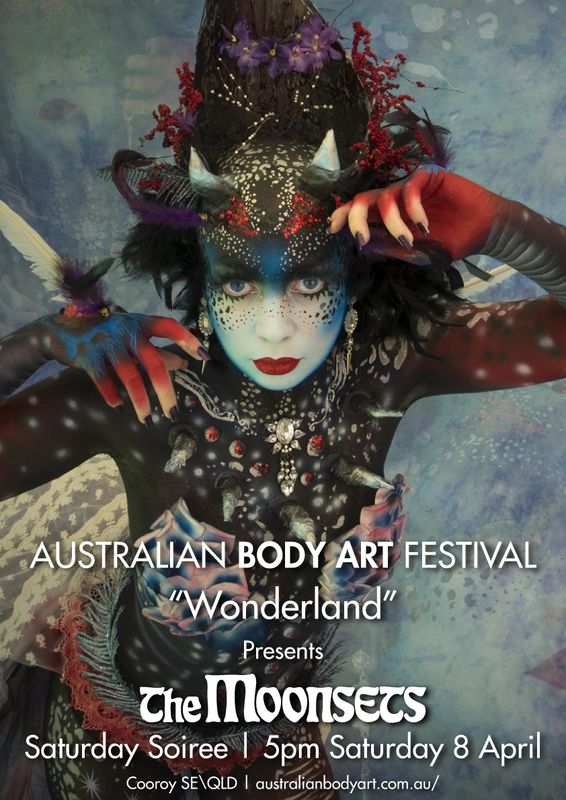 The Australian Body Art Festival - the nation's premier body art event - is a colourful and creative experience for all ages. Held in Noosa hinterland town of Cooroy, the event is nothing short of extraordinary. For members of the public, it’s an event like nothing ever seen before. Boundaries are pushed as the human canvases are transformed into works of art before the crowd. And that's why we Love It!! Come and join The Moonsets for this year's Saturday Soiree. Meet the Artists, mingle with their exquisite canvasses and drink from the cup of creation!! There will be food. There will be wine.